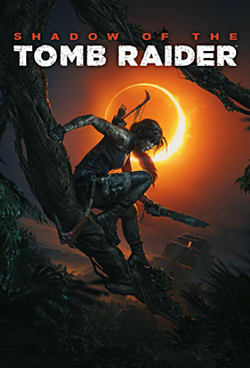 The latest game in the Tomb Raider series, coming September 14th, 2018. We got hands-on with Just Cause 4 and the upcoming Shadow of the Tomb Raider DLC, The Forge, at New York Comic Con. Here's what we learned. Have some FPS drops and spikelags in Shadow of the Tomb Raider? Here's a quick step-by-step guide to help you out. Shadow of the Tomb Raider is an incredibly gorgeous game. It's beauty broke two of my PS4 share buttons -- and made me realize every game should have a photo mode. We show you how to find all the survival caches, documents, and murals in the Trial Of The Eagle area in Shadow of the Tomb Raider. The definitive guide for all the Challenge Tombs in Shadow of the Tomb Raider, complete with videos, puzzle solutions, and skill rewards. The definitive walkthrough for every crypt in Shadow of the Tomb Raider, complete with videos, campfire locations, and vestige rewards. Can't find that treasure chest or hunting down a few last relics? We show you the location of every collectible in the Peruvian Jungle! This small area may have only one collectible, but it's also home to one of the game's most frustrating puzzles. A revamped skill tree awaits Lara Croft in her latest globe trotting adventure -- but which skills do you really need? Having trouble finding the survival caches, relics, or other collectibles in Cozumel? We show you how to grab every single collectible in this Shadow of the Tomb Raider guide. Master the jungle with ease by being prepared for Lara's newest adventure September 14. With "Shadow of the Tomb Raider" all but confirmed, here are three things the game needs to do to stand out above its predecessors.